As a hot travel spot, the Imperial City of Hue in Vietnam attracts people from around the world to take a visit even in the same hot summer. The good news is that the attraction extends its opening hours to 10 pm daily from April 22nd to September 15th, which allows tourists to avoid the summer's burning sunlight and enjoy the visit at cooler night time. 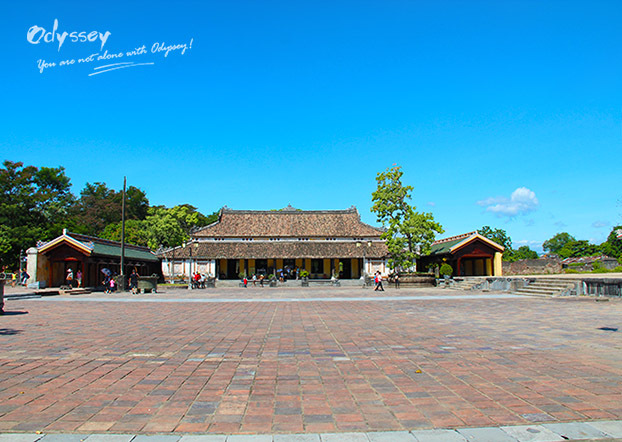 Located in the center of Vietnam's Hue City, the Imperial City was built in 1362. And the Nguyen dynasty made it the capital of Vietnam between 1802 and 1945 after they ruled the country. Though suffering from years of termite and cyclone damage, as well as substantial damage from wars, it still remains very impressive to the world. In 1993, the UNESCO recognized it as a World Heritage Site, and a latest and largest restoration project has concluded in 2015. Now people who visit the Imperial City at night can see the activities that former residents did in the past. People replicate the musical shows, shift change rituals of the old imperial guards, and the imperial army's martial arts training. You can even try booking an evening royal banquet, and you'll have the chance of dressing up like a Vietnamese royalty member and have a bite of the traditional royal dishes. As a World Heritage Site recognized by UNESCO in 1999, Hoi An Town has now become one of Vietnam's Cooking Arts Capitals, honored by the World Association of Chefs Societies.